1. Bring a pan of water to the boil and cook the eggs for 6-8 minutes. Drain and cool in running cold water, then peel and quarter. Cook the rice following the pack instructions. 2. Meanwhile, heat the oil in a frying pan over a medium heat and cook the onion and lardons for 5 minutes, until just becoming golden. Stir in the cayenne pepper and cook for a minute. 3. 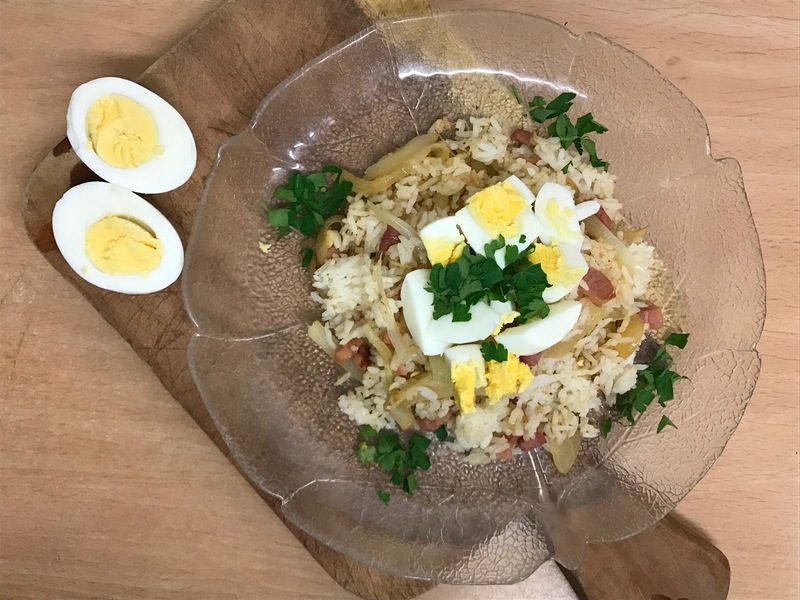 Stir through the cooked rice and serve topped with the quartered eggs and fresh chopped parsley.